This is the former Three Little Monkeys -- now known as The Fragile X Files. I did not find a single blog called The Fragile X Files! The closest thing I found was an article from 2007 called The X Files -- which actually was about someone with Fragile X.
I still have Three Little Monkeys, and I always will! They just aren't so little anymore, and Three Big Monkeys wasn't as cute a name.... although would probably have been unique! It feels like a fresh start. Sometimes we all need one. Oh by the way, my girl got her glasses yesterday. 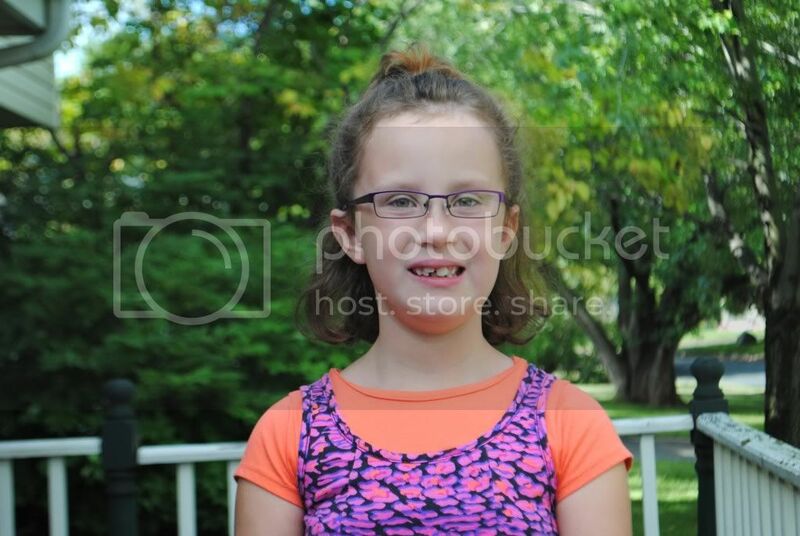 Right after, her grandpa took her to the state fair where she had wild success at the carnival games. Darn those carnie folks, they are turning her into a gambler.....she's won just enough to have a taste for it. She came home with armfuls of stuffed animals, mostly puppies. After winning at the water-shooting game, she commented on her excellent aim, proclaiming "I think it's the glasses." 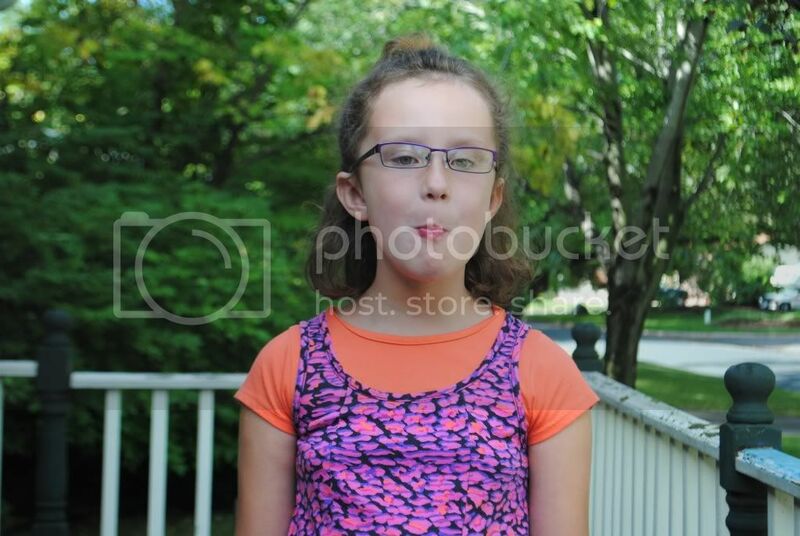 And when I asked to take pictures of her, she consented as long as her friends could be in the pictures with her, and they could be practicing blowing bubbles with their bubblegum. So this is three little girls with mouths full of Bubble Yum. No real bubbles yet. Maybe the glasses will help her be successful at that too. You never know. Love the glasses! She'll be the coolest kid in 2nd grade. 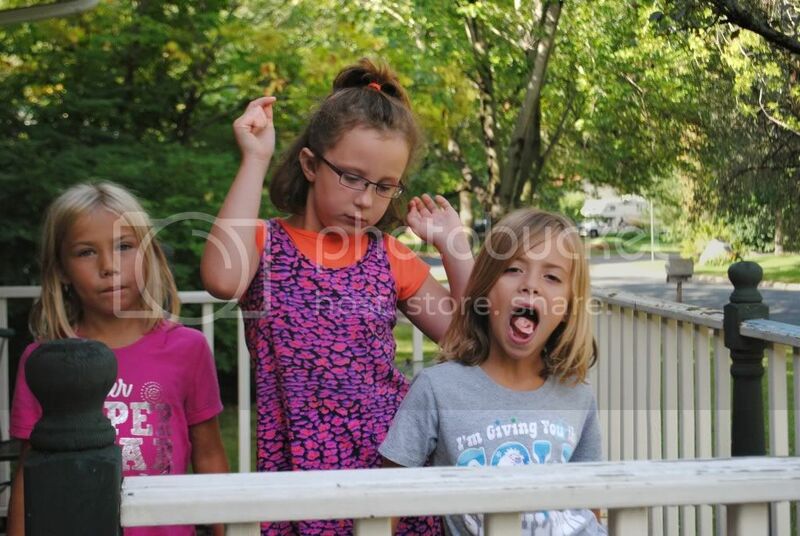 And I had no idea the girls were trying to blow bubbles. 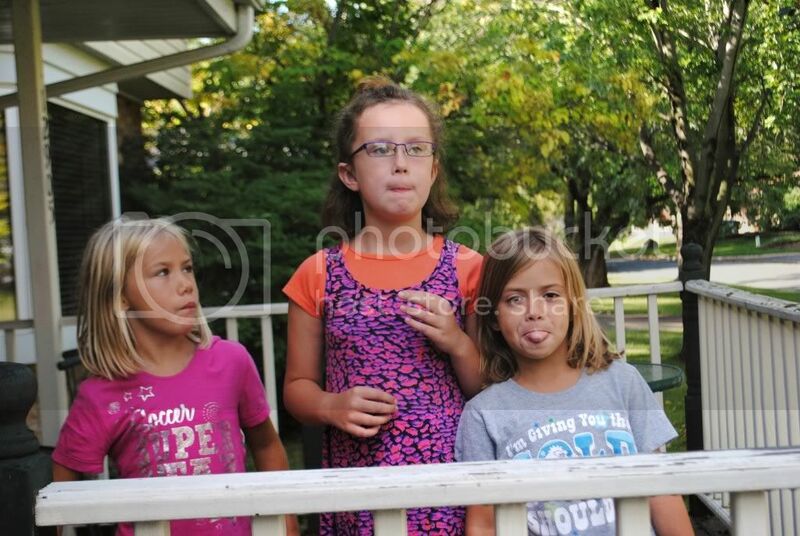 I just thought those were typical faces for a bunch of pre-tween girlies!